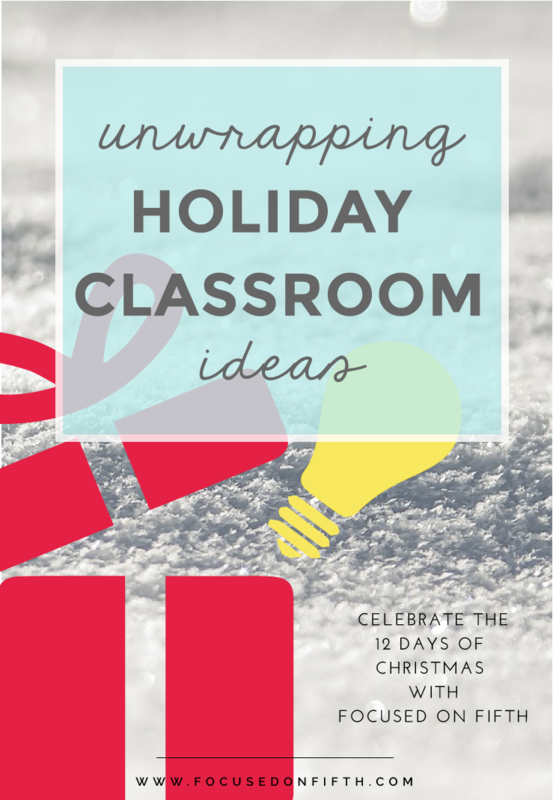 Teacher's Little Helpers: Holiday Products to Get You Through the Month! Today it's all about holiday products to get you through to winter break! I've got a few Christmas themed products to share with you. Working with Hundreds Models, Expanded Form, +/- 100, Addition & Subtraction Story Problems, Counting by 2's & 5's, Addition & Subtraction Facts, 2 digit Addition & Subtraction and Telling Time to the Half Hour. Next up is my Merry Measurement! 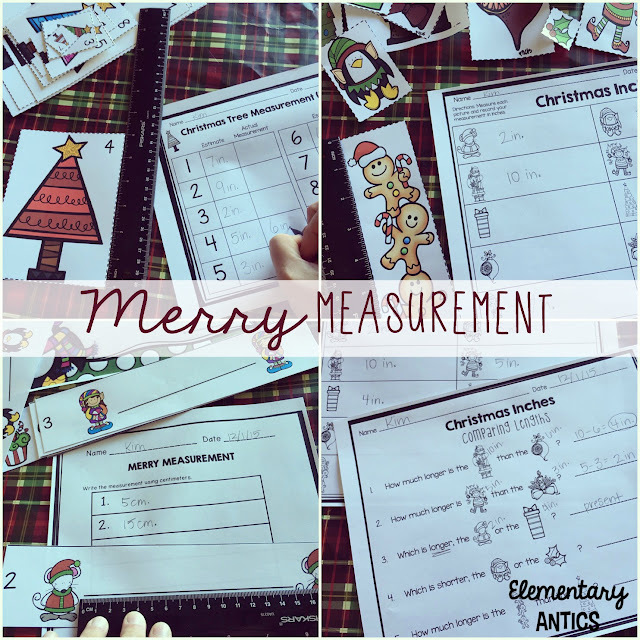 This is for 3 Christmas themed activities to practice measuring inches and centimeters. A perfect fun supplement to your measurement curriculum! You can read more about it at my post here. I also have some fun holiday math and literacy centers. 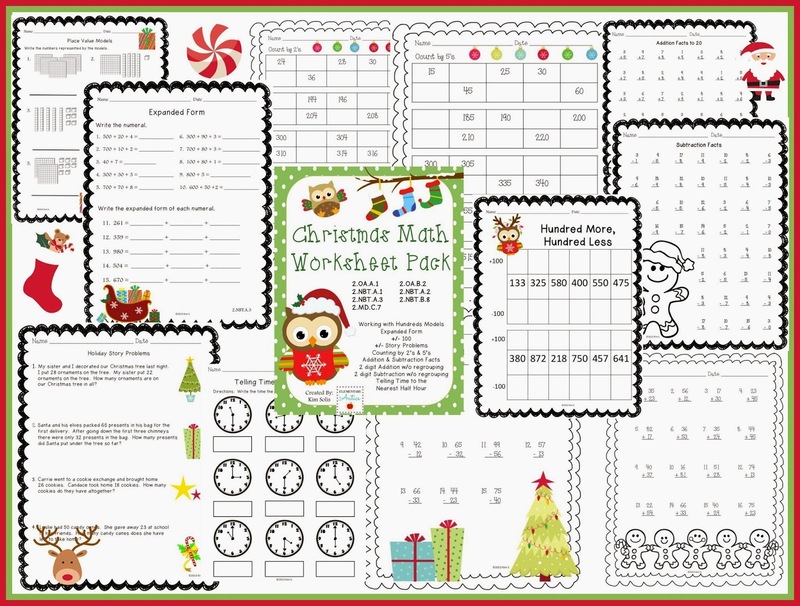 Also included are some holiday themed number cards that are used with 5 of the centers. The great thing about using the number cards is that your students can visit these centers multiple times and each time they will work with different numbers! 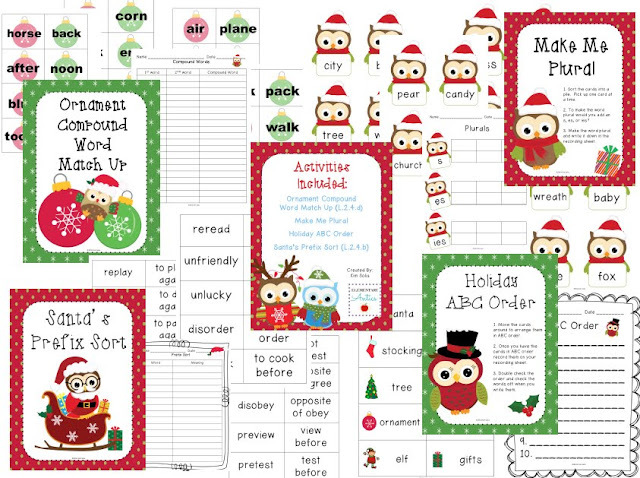 The Whooo's Ready for the Holiday Literacy Centers include 4 different literacy centers! Ornament Compound Word Match Up (L.2.4.d) -Students match words to make a new compound word and record their answers. 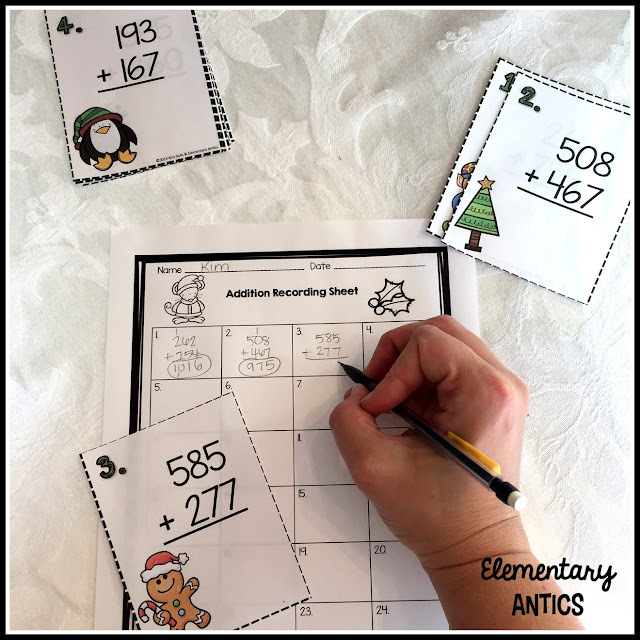 Make Me Plural- Students sort words according to whether they need to add -s, -es, or -ies to make the word plural and record their answers. Holiday ABC Order- Students sort and record words in alphabetical order. Santa’s Prefix Sort (L.2.4.b)- Students match the words with prefixes to the word meanings and record their answers. I've even got some Addition, Subtraction and Multiplication Scoot Task Cards! Now, hop around to see what everyone else has to offer! 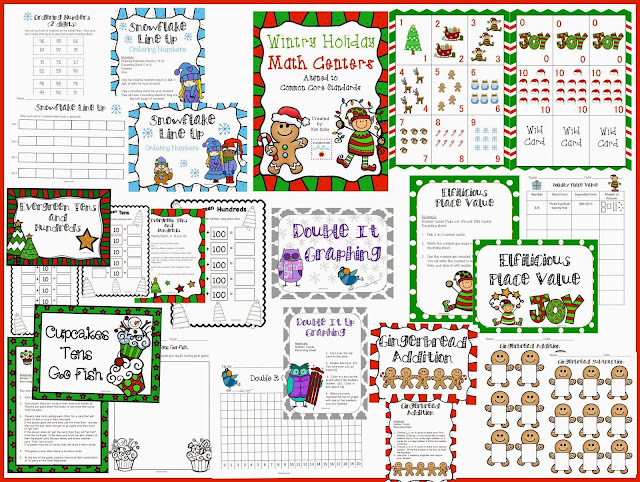 I love your holiday worksheet activities - my students never seem to have enough practice +/- tens and hundreds.